Come home to the lifestyle you deserve at Arterra. Located in Albuquerque's thriving La Cueva area, our perfectly designed one, two, and three bedroom floor plans feature mahogany wood-style flooring, walk-in closets, faux granite countertops, gas burning fireplaces, and full-size washers and dryers in all homes. Walk to shopping, dining & recreation!  Arterra is across the street from the shops and restaurants of La Cueva Town Center. North Dominica Baca Park is just minutes away offering easy access to a skate park, recreation center, dog park, and walking trails. And apartment homes are assigned to some of Albuquerque's top performing public schools, Dennis Chavez Elementary, Desert Ridge Middle School, and La Cueva High School.